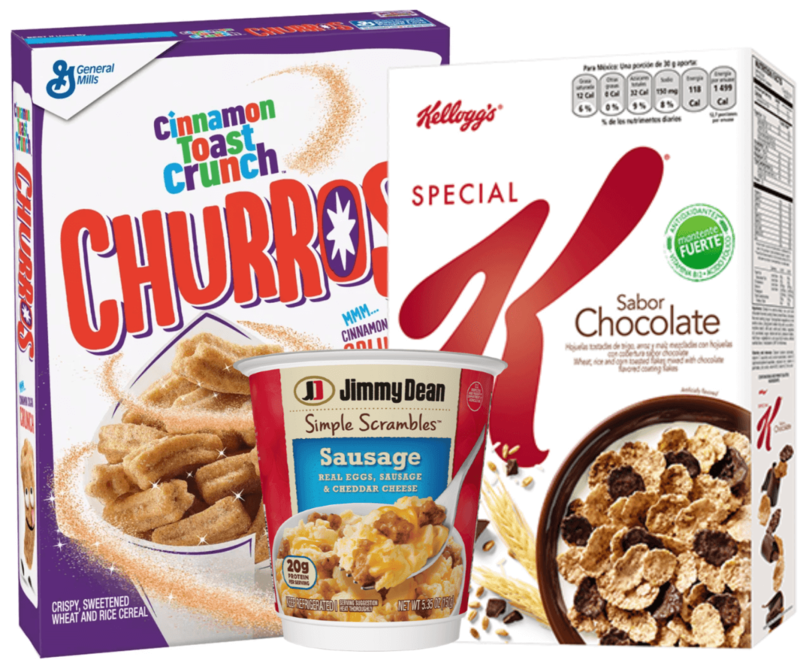 Save Up To $9 With New Kellogg’s Printable Coupons! 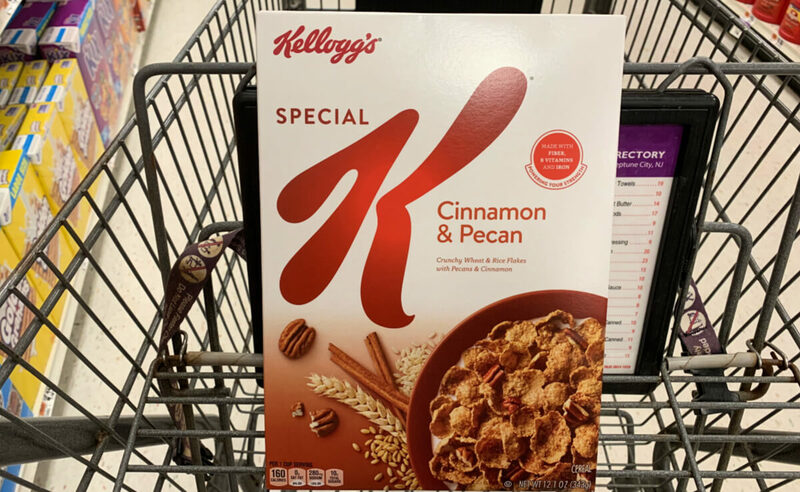 Kellogg’s Coupon April 2019 – We have some new Kellogg’s Coupons available to print. 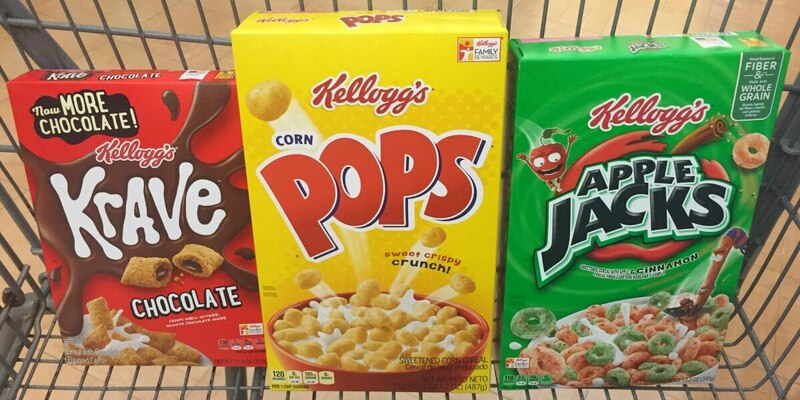 Here are the coupons that you can find: Free Kellogg’s Peeps Cereal WYB 3 Kellogg’s Cereals (max value $3) $0.50/1 Kellogg’s Frosted Mini-Wheats Fruit Medley Cereal $0.50/1 Kellogg’s Honey Nut Frosted Flakes or Kellogg’s Frosted Flakes Banana Creme Cereal $0.50/1... Read More Read more about Save Up To $9 With New Kellogg’s Printable Coupons! Over $6 Worth of Breakfast Coupons Available to Print Now! Breakfast Coupons March 2019 – Make mornings a little bit easier with all of these great Breakfast coupons! Over $6 Worth of Breakfast Coupons: Print right here! Want a place to use these coupons? Search our Grocery Price Comparison Tool for all of the deals available! More Coupons You’ll Love: Read more about Over $6 Worth of Breakfast Coupons Available to Print Now! 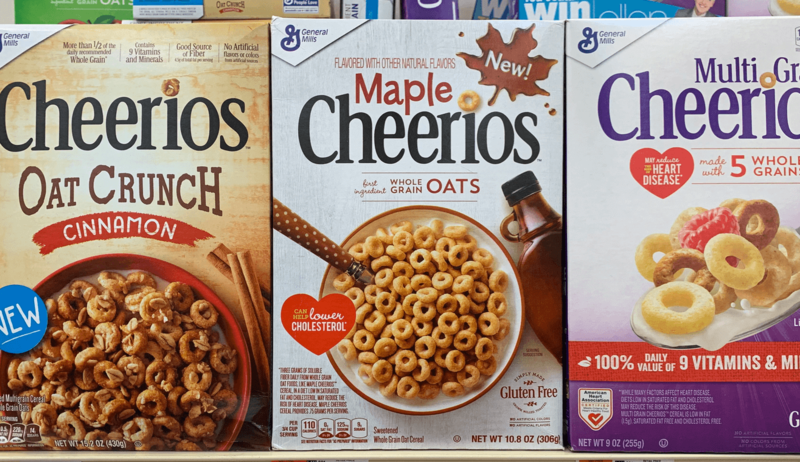 Acme Shoppers – $0.88 General Mills Maple Cheerios Cereal! Here is a super easy deal you can score at Acme this week! 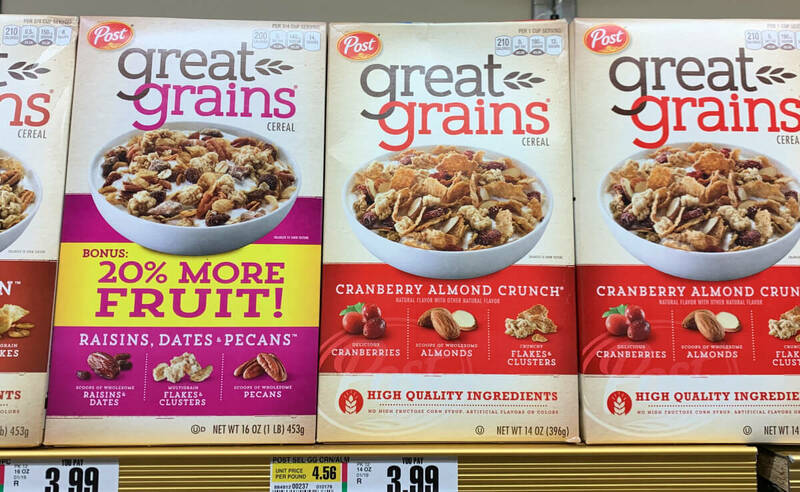 Through 3/14, Acme has select General Mills Cereals on sale for $1.88, you must buy 3 in order to get this price. Included in this deal are the General Mills Maple Cheerios. 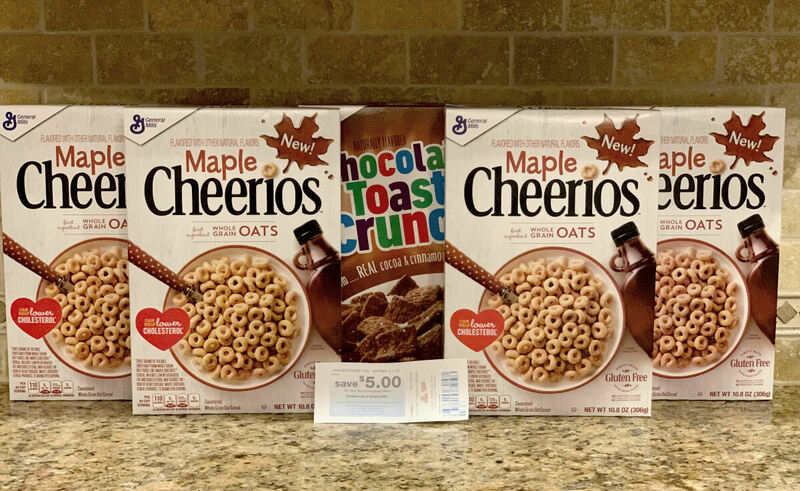 We have the following offers available: $1/1 General Mills Maples... Read More Read more about Acme Shoppers – $0.88 General Mills Maple Cheerios Cereal! Over $5 Worth of Breakfast Coupons Available to Print Now! Breakfast Coupons February 2019 – Make mornings a little bit easier with all of these great Breakfast coupons! Over $8 Worth of Breakfast Coupons: Print right here! Want a place to use these coupons? Search our Grocery Price Comparison Tool for all of the deals available! More Coupons You’ll Love: Read more about Over $5 Worth of Breakfast Coupons Available to Print Now! Over $8 Worth of Breakfast Coupons Available to Print Now! Breakfast Coupons February 2019 – Make mornings a little bit easier with all of these great Breakfast coupons! Over $8 Worth of Breakfast Coupons: Print right here! Want a place to use these coupons? Search our Grocery Price Comparison Tool for all of the deals available! More Coupons You’ll Love: Read more about Over $8 Worth of Breakfast Coupons Available to Print Now! 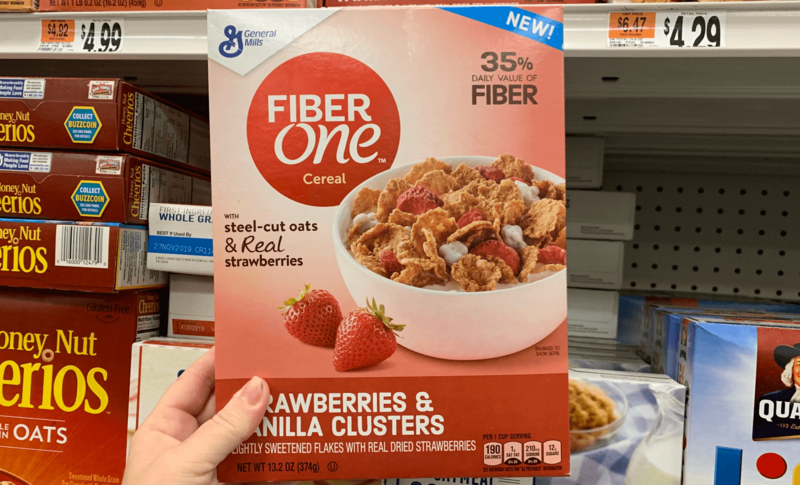 Over $13 in New General Mills Coupons Available to Print – FREE Cereals at Stop & Shop + More Deals! 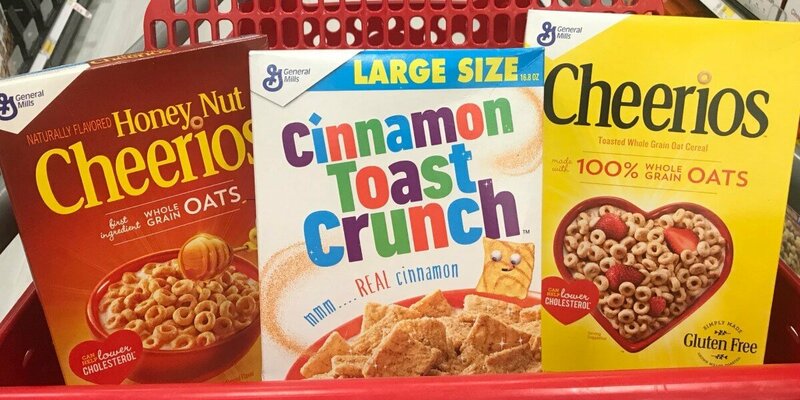 General Mills Coupons February 2019 – Good morning February! We’ve got some great new coupons available this morning including these General Mills Coupons! Here are the coupons you can find: 0.75 when you buy ONE CAN any flavor Progresso™ Organic Soup 1.00 when you buy TWO PACKAGES any flavor Totino’s™ Pizza Rolls™… 1.00 when you... Read More Read more about Over $13 in New General Mills Coupons Available to Print – FREE Cereals at Stop & Shop + More Deals! $10.75 Worth of Cereal Coupons Available to Print Now! 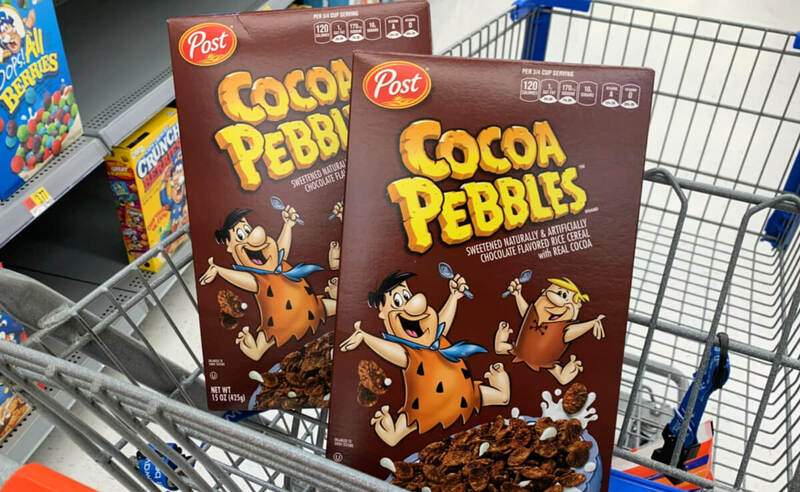 Cereal Coupon January 2019 – Time to stock up on some great Cereal Coupons before they are gone! There are over $10.75 in Cereal Coupons available to print right now, but they won’t last long! Want a place to use these coupons? Search our Grocery Price Comparison Tool for all of the deals available! 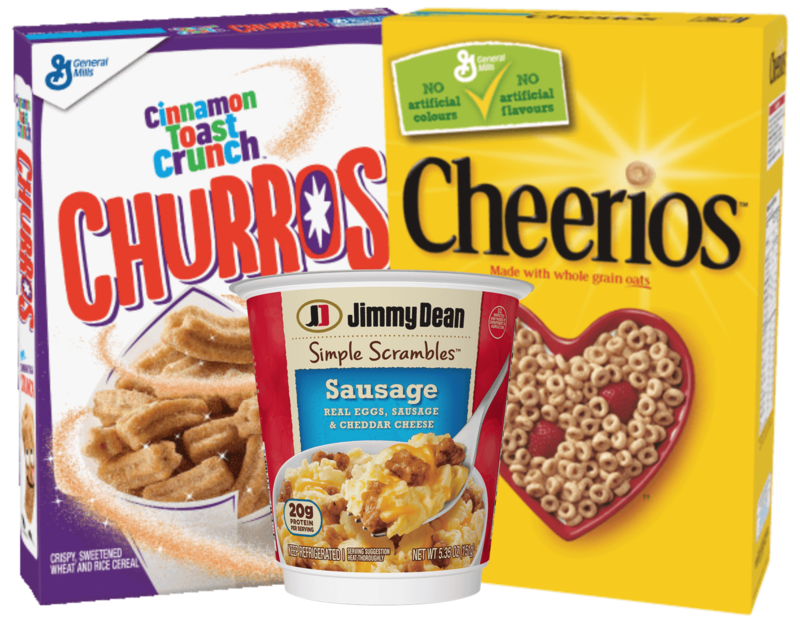 $10.75... Read More Read more about $10.75 Worth of Cereal Coupons Available to Print Now! 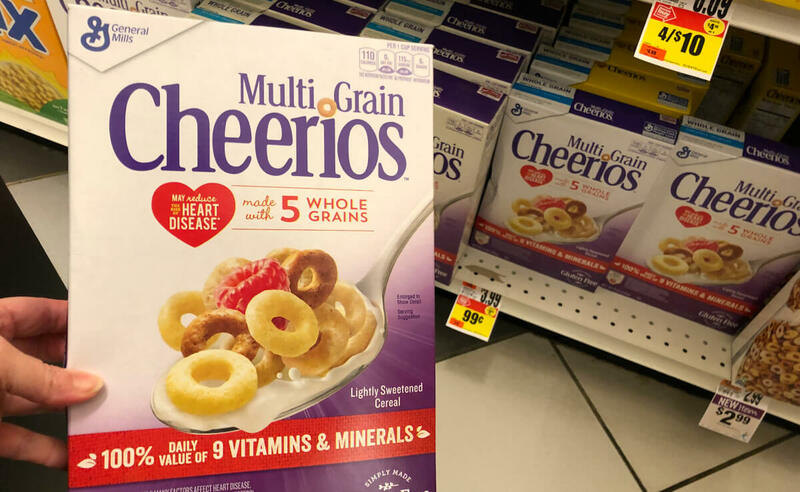 Free Multi-Grain and Maple Cheerios at Stop & Shop! If you love Cheerios have we got an awesome deal for you! We found Apple Cinnamon Cheerios, Multi-Grain Cheerios, and the new Maple Cheerios all on sale for just $0.99 through 1/31! Right off the Bat we can score both the Multi-Grain and the Maple Cheerios completely FREE after coupon! 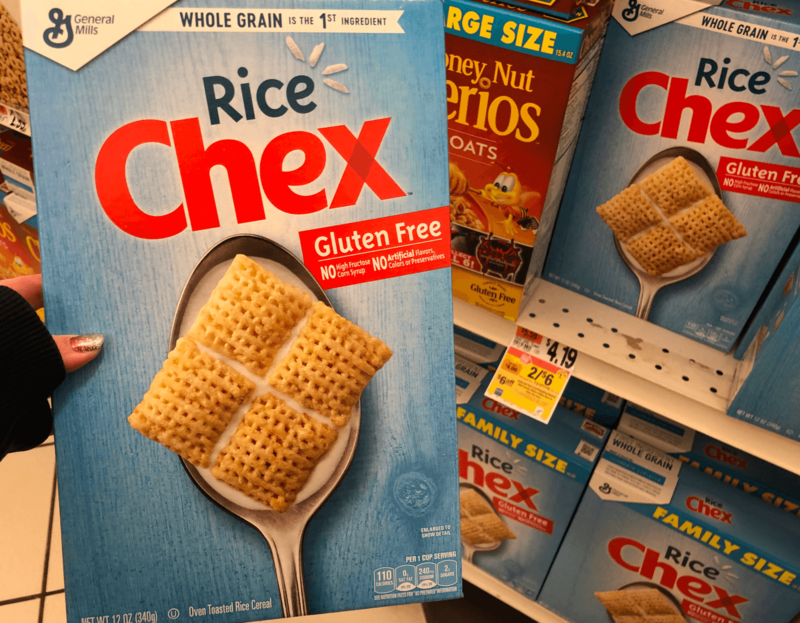 Also included in the sale... Read More Read more about Free Multi-Grain and Maple Cheerios at Stop & Shop! Confirmed! ShopRite General Mills Catalina- Better FREE Maple Cheerios & More! 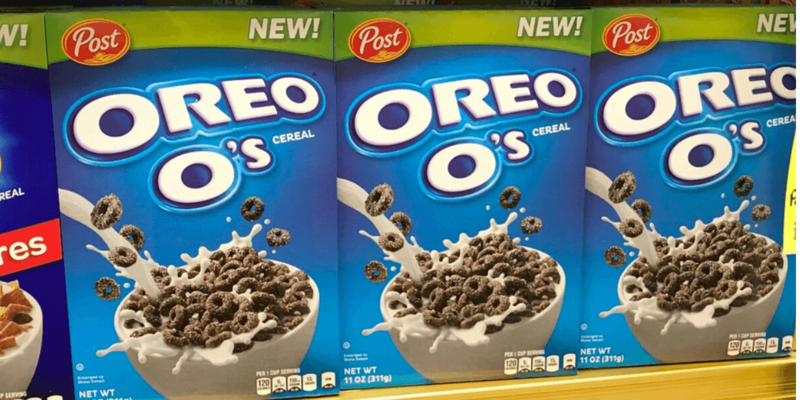 General Mills Catalina Deal January 2019 – Yay! Here is a great deal you can score at ShopRite this week. Through 1/26, ShopRite has a Spend $15 Get a $5 Catalina on select General Mills products. We headed out early this morning and can Confirm this is working off Pre Price Plus card prices. We... Read More Read more about Confirmed! 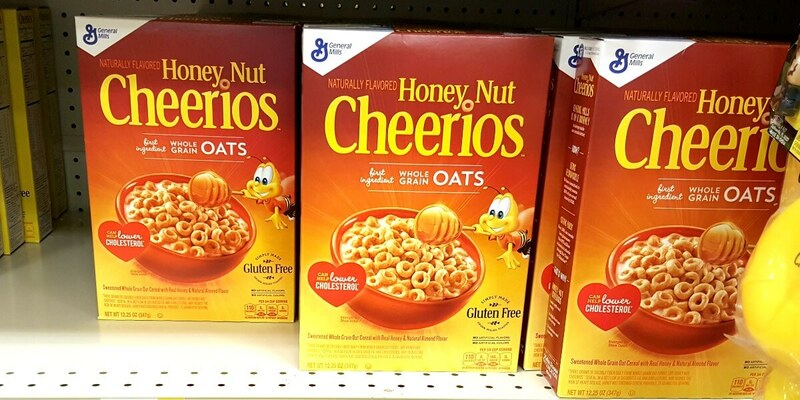 ShopRite General Mills Catalina- Better FREE Maple Cheerios & More! Over $21 Worth of Breakfast Coupons Available to Print Now! 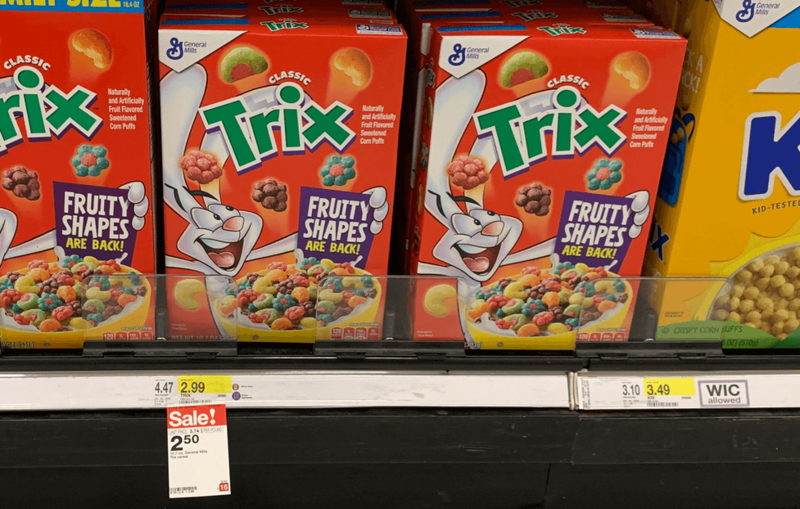 Cereal Coupons January 2019 – Make mornings a little bit easier with all of these great Breakfast coupons! Over $21 Worth of Breakfast Coupons: Print right here! Want a place to use these coupons? Search our Grocery Price Comparison Tool for all of the deals available! More Coupons You’ll Love: Read more about Over $21 Worth of Breakfast Coupons Available to Print Now! Over $14 Worth of Breakfast Coupons Available to Print Now! Breakfast Coupons January 2019 – Make mornings a little bit easier with all of these great Breakfast coupons! Over $14 Worth of Breakfast Coupons: Print right here! Want a place to use these coupons? Search our Grocery Price Comparison Tool for all of the deals available! More Coupons You’ll Love: Read more about Over $14 Worth of Breakfast Coupons Available to Print Now! 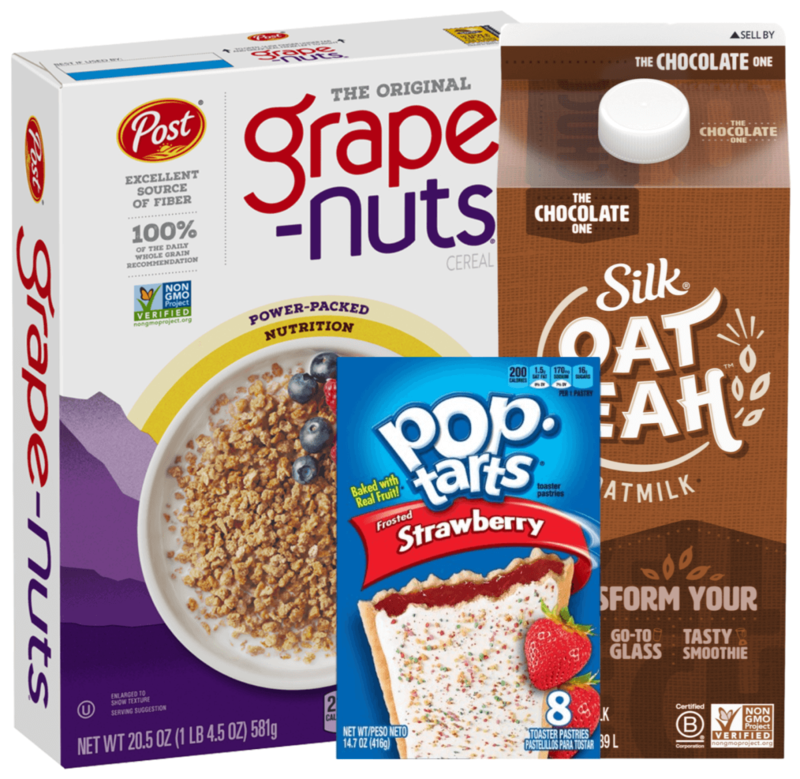 Over $19 in New General Mills Coupons Available to Print – Cereals as Low as FREE at ShopRite & More! 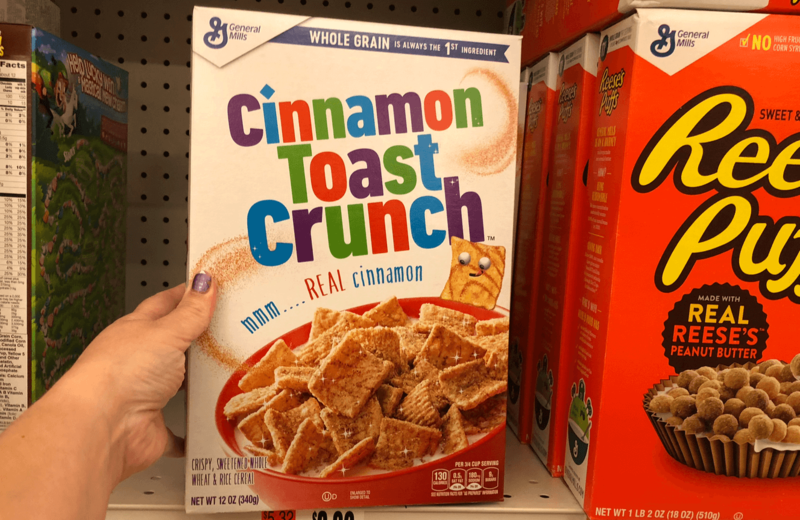 General Mills Coupons January 2019 – Good morning January! We’ve got some great new coupons available this morning including these General Mills Coupons! 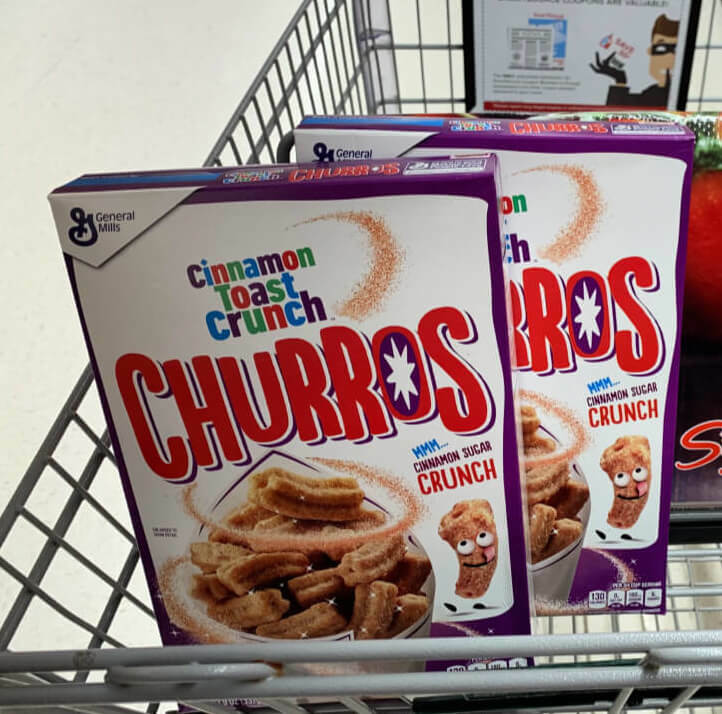 Here are the coupons you can find: $0.50 when you buy ONE BOX Cinnamon Toast Crunch, Apple Cinnamon Toast Crunch, French Toast Crunch… $0.75 when you buy ONE BOX Maple Cheerios cereal... Read More Read more about Over $19 in New General Mills Coupons Available to Print – Cereals as Low as FREE at ShopRite & More! New $1/3 Kellogg’s Cereals or Pop-Tarts Toaster Pastries Coupon & Deals! Kellogg’s Coupons – There is a new Kellogg’s Coupon available to print. The coupon is for $1.00 on any THREE Kellogg’s Cereals and/or Pop-Tarts toaster pastries Print Kellogg’s Cereals and/or Pop-Tarts toaster pastries Through 1/3, Stop & Shop has the Kellogg’s Cereal & Pop-Tarts on sale for $1.99 making them $1.66 each after the coupon... Read More Read more about New $1/3 Kellogg’s Cereals or Pop-Tarts Toaster Pastries Coupon & Deals! Acme Quaker Instant Savings! Life Cereal & Overnight Oats Just $0.49! Quaker Coupon This week Acme is having an Instant Savings Deal on select Quaker Products. When you buy any 6, you’ll instantly save $3 at checkout. Plus we have an insert coupon & ibotta rebates as well. The best deal is Christmas Cap’N Crunch cereal, unfortunately my store doesn’t carry this, so I wasn’t able... Read More Read more about Acme Quaker Instant Savings! 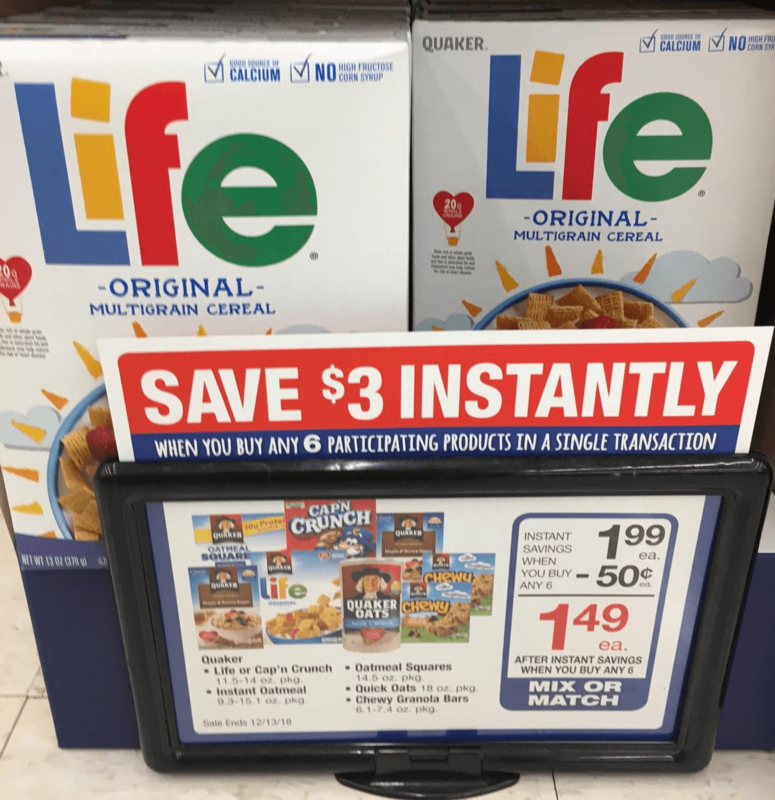 Life Cereal & Overnight Oats Just $0.49! 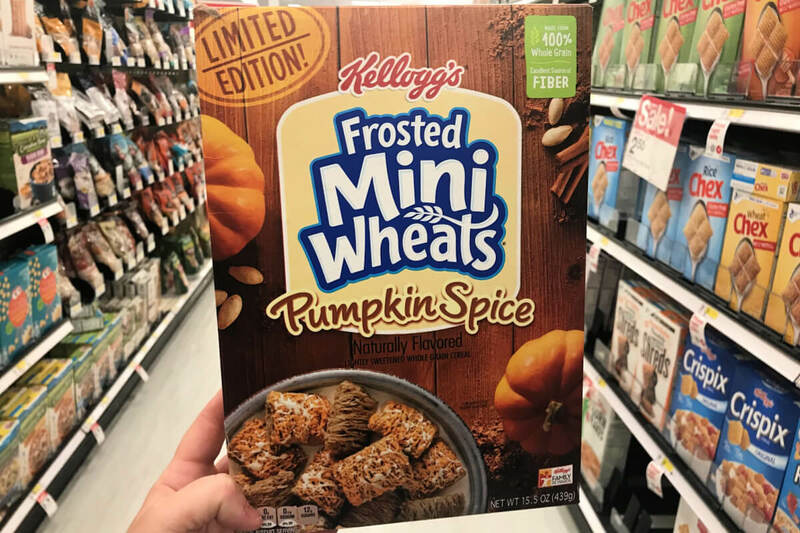 Over $10 in New Kellogg’s Coupon Available To Print! Kellogg’s Coupon December 2018 We have some new Kellogg’s Coupons available to print. 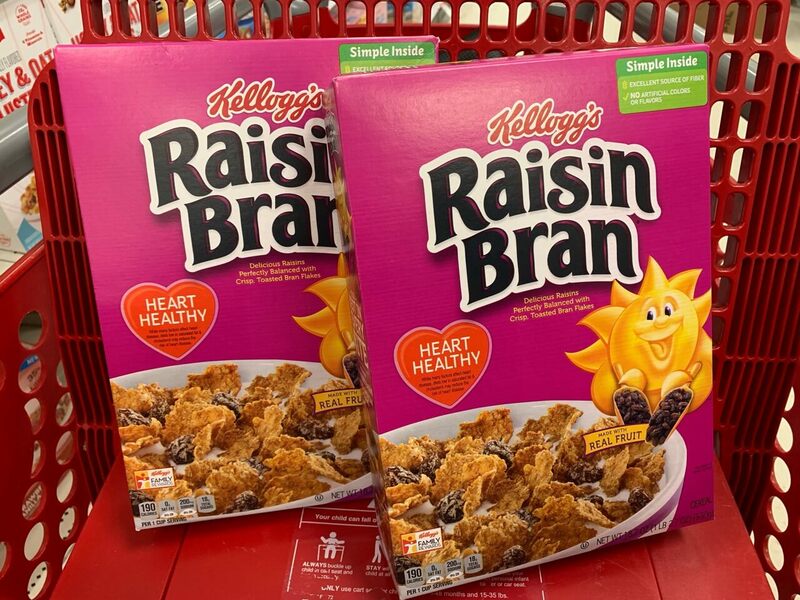 Here are the coupons that you can find: $1/3 Kellogg’s Cereals $1/3 Pop-Tarts toaster pastries $1 off Apple Cider WYB Murray Ginger Snaps $1/1 Kellogg’s Crispix Cereal $1/1 Kellogg’s Special K Cereal BOGO Kellogg’s Chocolate Frosted Flakes Cereal $1/2 Kellogg’s All-Bran,... Read More Read more about Over $10 in New Kellogg’s Coupon Available To Print! 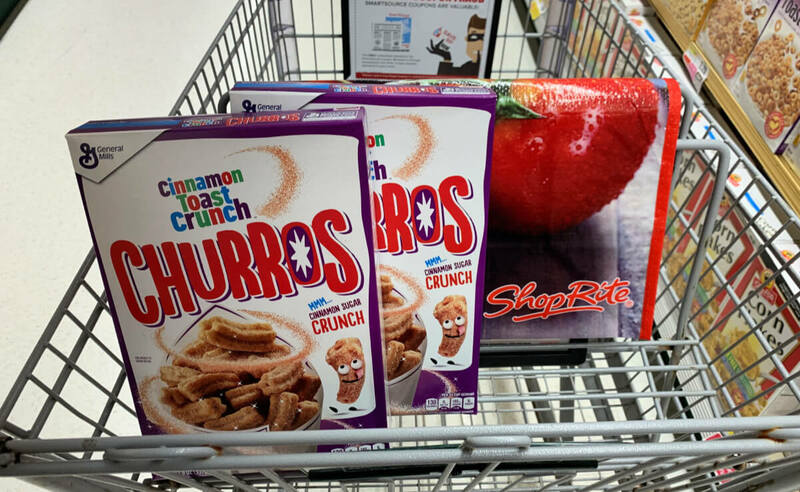 5 New Post Cereal Coupons – Save $3 + Deals at ShopRite, Target & More! Post Cereals Coupons There are 5 new Post Cereal Coupons available to print. 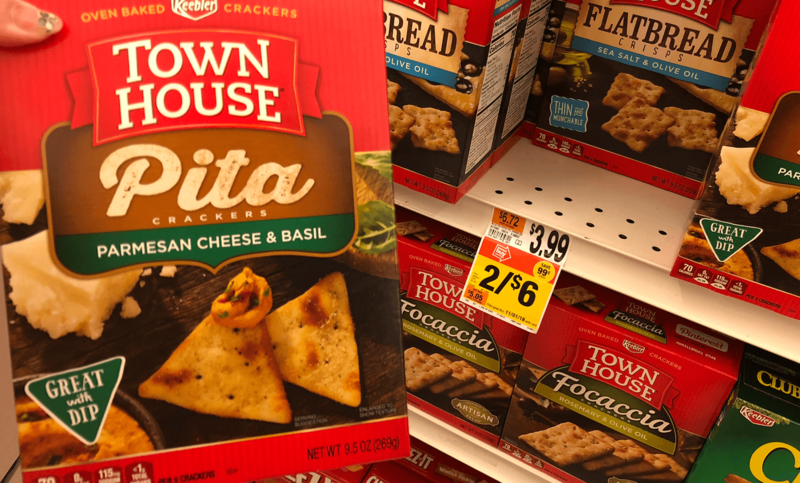 Here are the coupons that you can find: 0.50 when you buy ONE (1) Post® CHIPS AHOY® cereal 0.50 when you buy ONE (1) Post® NUTTER BUTTER® cereal 0.50 when you buy ONE (1) Post® HONEY MAID® S’mores cereal 0.50 when... Read More Read more about 5 New Post Cereal Coupons – Save $3 + Deals at ShopRite, Target & More! 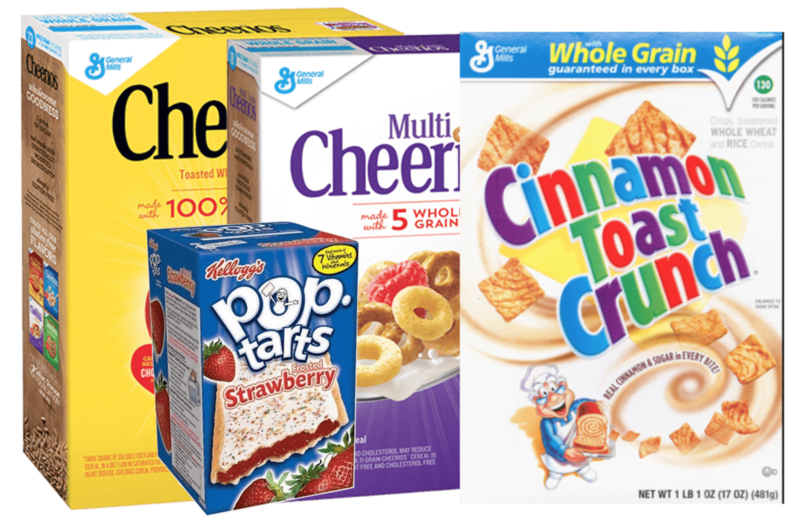 8 New General Mills Coupons – Save Over $5 + Great Deals at Walmart, ShopRite & More! General Mills Coupons Good morning December! We’ve got some great new coupons available this morning including these General Mills Coupons! Here are the coupons you can find: 0.30 when you buy ONE CAN any Pillsbury™ Crescent Dinner Rolls or Grands!™ Crescent Dinner Rolls 0.30 when you buy ONE CAN any size/variety Pillsbury™ Refrigerated Grands!™ or... Read More Read more about 8 New General Mills Coupons – Save Over $5 + Great Deals at Walmart, ShopRite & More! 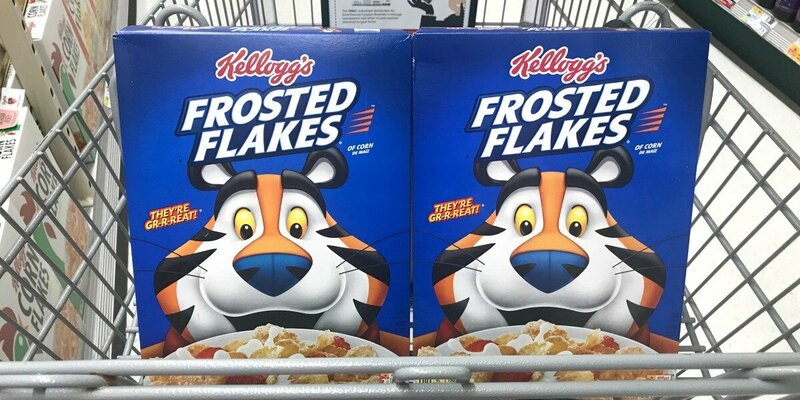 New $1/2 Kellogg’s Frosted Mini-Wheats Cereals Coupon – as Low as FREE at ShopRite & More! Kellogg’s Coupons There is a new Kellogg’s Coupon available to print. The coupon is for $1.00 on any TWO Kellogg’s Frosted Mini-Wheats Cereals Print Kellogg’s Frosted Mini-Wheats Cereals Coupon If your ShopRite still has the Kellogg’s Pumpkin Spice Frosted Mini Wheats Cereals in stock, they have them on sale for $0.99 and there is a... Read More Read more about New $1/2 Kellogg’s Frosted Mini-Wheats Cereals Coupon – as Low as FREE at ShopRite & More!